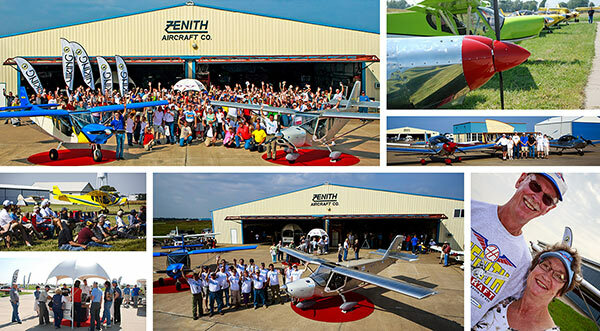 Thanks to all who participated at the 24th annual Zenith Aircraft Open Hangar Day and Fly-In 2015. Great planes and awesome company! 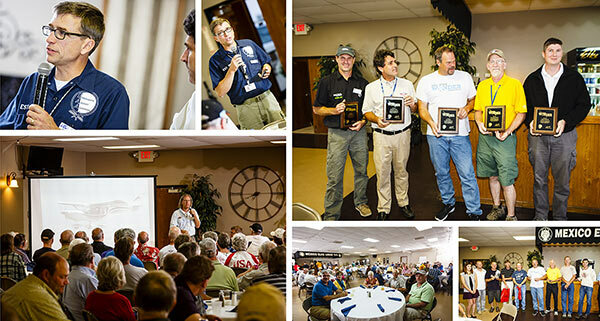 Check out the photos of the activities, including the STOL Competition, the Zenith Banquet and the Open Hangar Day! The Zenith Banquet dinner on Friday evening (September 18) will feature great food and super company, with special guests and the awards presentation for the KITPLANES magazine STOL Competition (to be held earlier that day). Many great door prizes will be awarded! Purchase your banquet tickets here. We'll be hosting seminars all day on Friday, September 18 starting at 9 am! Return of the STOL Competition! Kitplanes magazine will host a short take-off and short landing (precision) competition and demonstration at 4:00 pm on Friday afternoon. We will have a high-wing (STOL) and low-wing (Zenith) category, with more details and rules coming soon. This is a very informal "competition," designed for pilots to increase their knowledge of their aircraft and its slow flight characteristics and capabilities. We encourage everyone who flies in to participate! There will be prizes and awards to participants, presented at the Zenith banquet. This event is sponsored and coordinated by KITPLANES magazine. Come out and see the One Week Wonder Zenith CH 750 Cruzer airplane that was built in seven days at AirVenture Oshkosh 2014, and meet with Charlie Becker, EAA's Director of Chapters, Communities and Homebuilt Community Manager. Engine Panel Discussion: We've invited all engine representatives to be part of our engine panel discussion! We expect this to be a very popular seminar! Hands-on project: In past years visitors were invited to build a small yet useful aluminum project in the factory, including a 3-hole binder for the blueprints and aluminum wheel chocks. Come out and build your own! Onsite Camping: Since hotels in the area already seem to be fully booked already, we invite to come and camp with us! We have plenty of space for your tent or camper on Thursday, Friday or Saturday night. Note also that the Mexico Airport has a 24/7 access restroom with shower, and there's also a local campground with electric hookups. As in years past, we'll be hosting a number of educational seminars (all day on Friday). These free seminars are for existing and new Zenith builders, owners and pilots. Seminars on Friday, September 18. Times and details are subject to change: PRE-REGISTER NOW. Larry Nelson of Lab One Inc. will discuss the importance of oil analysis and preventive maintenance practices, and will be handing out 50 complimentary oil analysis kits (and they will also have kits on hand for purchase). Nelson is also an oil analysis lab tech for the US Army Test and Evaluation Command (ATEC) with 5 years’ experience in military oil analysis testing on experimental vehicles, and is a Zenith builder working on finishing his CH 601 HDS and planning on a Corvair powerplant. Earl Downs is the builder of the Zodiac 601 XL-B which he uses for transition and first flight preparation training. Downs will provide practical guidance towards Transition Training and First Flight Preparation. In his First Flight Preparation training, Downs teaches the principles of LOC avoidance. He’ll explain how these principles can apply to any airplane and you’ll come away from this forum with practical suggestions for becoming a safer pilot. Garmin G3X by Brian Hupe of Garmin. Learn about Garmin’s industry leading G3X Touch flight system for experimental aircraft with the ability to add optional autopilot systems, datalink weather, traffic surveillance, ADS-B ”Out,“ ”ADS-B ”In“ traffic and weather, geo-referenced charting and more to further enhance your situational awareness. Brian Hupe has worked for Garmin since 2006 in aviation engineering and sales. He holds a Bachelor’s degree in Aerospace Engineering, is an instrument rated pilot and a homebuilder. Deciding on an insurance agent and sifting through the type of insurance available can be complicated and confusing. Sky Smith will work with you to determine the type of coverage that best fits your needs, and will help you get you the best coverage for your particular situation. Sky Smith is an independent agency that will shop the insurance marketplace for you. Basic Rules of Building and Flying Your Own Airplane, by Charlie Becker. 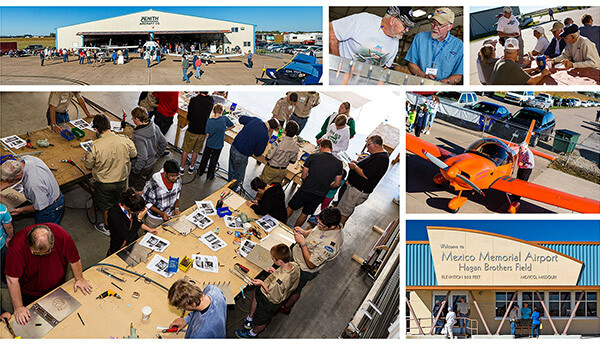 Charlie Becker, EAA's Director of Chapters, Communities and Homebuilt Community Manager, will provide an update from EAA headquarters and also explain the basic rules of building and flying your homebuilt. Becker is an avid Homebuilder himself, and has been on the EAA staff for 14+ years. Many members are familiar with his work creating EAA’s “Hints for Homebuilders” weekly video series, EAA’s well-attended webinar series, as well as organizing the One Week Wonder effort at EAA AirVenture Oshkosh 2014, among other homebuilt-centered initiatives. Superior Air Parts: Mac Little will discuss the new Gemini diesel from Superior Air Parts, as well as the XP lines of engines. 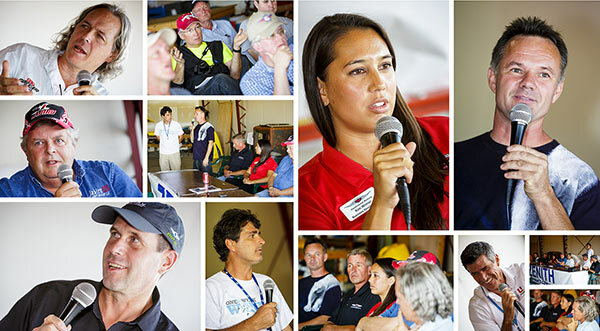 Engine Panel Discussion: Engine representatives from Continental, Corvair, Jabiru, Rotax, Superior Air Parts, UL Power, and Viking will share information about their respective engines, and a short panel discussion will follow discussing fuels, future developments, and more! STOL Competition: Short Take-Off and Short (Precision) Landing Competition, on Runway 18 at Mexico Memorial Airport (subject to weather), sponsored by Kitplanes magazine. Zenith Banquet dinner will feature great food and super company, with special guests and the awards presentation for the KITPLANES magazine STOL Competition (to be held earlier that day). Many great door prizes will be awarded! Charlie Becker, EAA's Director of Chapters, Communities and Homebuilt Community Manager, will attend with the One Week Wonder airplane, and will share info on EAA's available resources to help builders, owners and pilots of amateur-built aircraft, including the technical advisor and flight advisor programs. Dynon Avionics will demonstrate the newest available glass panel technology, including the SkyView Touch and Pocket Panel portable EFIS, and the SkyView COM Radio and Two-Place Stereo Intercom. Garmin Avionics will be on hand to show the latest Garmin products for light aircraft including the G3X flight display system and the VIRB action camera. A factory representative will be on hand to answer questions on installing and operating Garmin avionics in Zenith aircraft. Rob Seaton from Rotax is attending to answer questions about the Rotax 912 series engines. Wick's Aircraft Supplies will be on hand with some of the many builder and pilot supplies it sells. Order your parts from Wick's before the event and they will deliver them to you at the Open Hangar Day! Call to Order 1-800-221-9425. Lab One Inc, is an aviation oil analysis laboratory based in Phoenix, Arizona. Larry Nelson (a Zenith builder) will discuss the importance of oil analysis and preventive maintenance practices, and will be handing out 50 complimentary oil analysis kits (and they will also have kits on hand for purchase). Doug Dugger of Quality Sport Planes (in Cloverdale, California) will attend to meet with West Coast Zenith builders, and discuss his builder assistance programs. UL Power will be on hand to represent the new generation of light aircraft engines. The UL Power aircraft engines are direct-drive air-cooled lightweight engines featuring full FADEC technology (with fuel injection and electronic ignition). HomebuiltHelp.com offers a complete line of "how-to" videos available on DVD, and will have the popular DVDs available for preview and purchase. Jabiru USA, distributor of Jabiru engines, will be on hand to answer Jabiru engine installation, operation and maintenance questions. The popular aircraft build log system ExperCraft can help you complete your Zenith kit project more efficiently and with fewer errors while creating your own website build log. A Viking-powered Zenith STOL CH 750 won the first-ever Zenith STOL competition at the 2014 event. Scales4Planes.com - Zenith builder Mike Pruett will show his light aircraft weighing equipment and show builders and owners how to properly weigh their aircraft and compute a proper "weight and balance" for their aircraft. Aviator's Hotline is your go-to resource for buying or selling a used aircraft. A company rep will be on hand to meet with aviation enthusiasts. The Zenith Aircraft factory will be open for self-guided tours and demo flight are available (strictly by prior appointment). The Zenith Aircraft kit production facilities will be open for factory tours and Zenith's factory demonstrator airplanes will be on display - both on the ground and in the air! Company staff will demonstrate kit production and fabrication techniques used in producing the all-metal kit aircraft parts made at the Zenith Aircraft factory. Come early in the morning for free premium coffee from the Flying High Coffee Company, the "only coffee company streaming funds to aviation education programs." We'll have a great hot breakfast and BBQ lunch available for purchase on Saturday (from the Steinmans)! Join us for the annual "group photo" of builders and their planes in front of the factory. 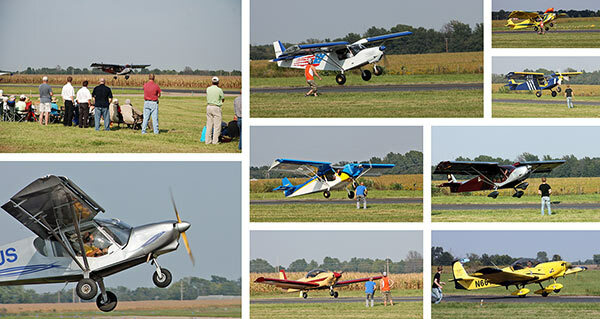 This 24th annual event is shaping up to be a great Open Hangar Day and Fly-In Gathering. We have many participants, activities and seminars planned and we'll be summarizing and adding updates soon. We invite and encourage all Zenith builders, owners, pilots, and enthusiasts to come out for a good time! Owners of completed Zenith Aircraft are encouraged to fly-in for the activities and to show off their completed project to fellow builders (we will provide tie-down space and help facilitate ground transportation if possible). Mexico's airport (KMYJ) offers 24-hr self serve fuel at competitive prices, and has a new terminal building with 24 hour access to the pilot lounge (with showers and internet access!). Let us know of any special needs or requirements. If flying in, please bring your own aircraft tie-downs, especially if staying overnight. There is no charge to attend the Open Hangar Day or any seminars, with the exception of the banquet dinner on Friday evening. Check this page for the latest updates and schedule. Please contact us if you have ideas, requests or capabilities to make the Open Hangar and Fly-In Gathering both a fun and educational event. We can help you to carpool if you are flying in and need a ride to and from a local hotel. Let us know how we can help you. Click here to purchase Zenith Aircraft apparel (new t-shirts and hats)!